DxO has announced the availability of DxO OpticsPro 11, a major update to its award-winning photo software for Mac and PC. DxO OpticsPro 11 introduces important enhancements to DxO PRIME, the industry-standard for noise reduction, and new automated tools, such as spot weighted correction, auto micro contrast and auto red-eye that leverage face detection to help bring out the subtle nuances in images — all in just a few clicks and regardless of the original shooting conditions. DxO OpticsPro 11 features DxO’s proprietary DxO PRIME 2016 noise reduction, which enables photographers to salvage noisy photos thought previously unusable. With DxO OpticsPro 11, photographers can capture new images at an even higher ISO by using a new version of PRIME that is better and faster than ever. DxO has designed a new enhancement to DxO OpticsPro’s Smart Lighting tool that uses face detection to apply an intelligent tone map on the entire image, to better extend the dynamic range, add fill light, and improve contrast while optimising illumination on faces. The result is genuine spot processing—after capture – with the very same results as spot metering typically provides in camera, but with the added benefit of fine-tuning flexibility. DxO OpticsPro 11 also adds a number of other useful tools for photographers, including an auto micro contrast mode that enhances image content while taking care to preserve faces and keep noise under control. 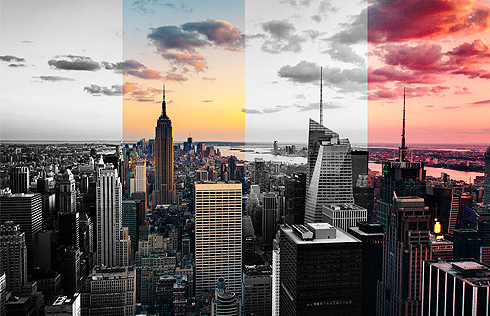 The selective tone control produces more natural results, efficiently recovering information in shadows and highlights while avoiding flattening mid tones. There’s also a new tool that uses face and eye detection to automatically apply red eye correction, even as a batch process on multiple photos. In addition, a brand new full screen viewer removes distracting clutter so you can focus more on selecting, rejecting and rating your images, while using new shortcuts designed to help speed up the culling process. 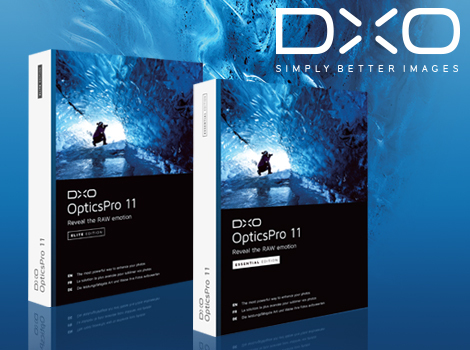 To celebrate the launch of DxO OpticsPro 11, we are treating you to great savings on the Essential and Elite edition. This entry was posted in Color Confidence Range, DxO, General News, Photography, Software, Uncategorized and tagged DxO, DxO Image Science, Image Editing, Software on June 2, 2016 by Color Confidence. We are pleased to announce that we will be running an exclusive prize draw at The Photography Show 2016. 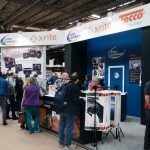 Visitors can complete the entry form on Stand C81 for the chance to win over £1,600 worth of photographic equipment. Color Confidence Total Balance – convenient collapsible grey reference. During the four-day show, the stand will feature live model photo-shoots, product launches, presentations and technical demonstrations. There will also be a Color Confidence Shop where visitors can purchase products from industry leading brands at special show prices. John Clements, Professional Photographer and Trainer. 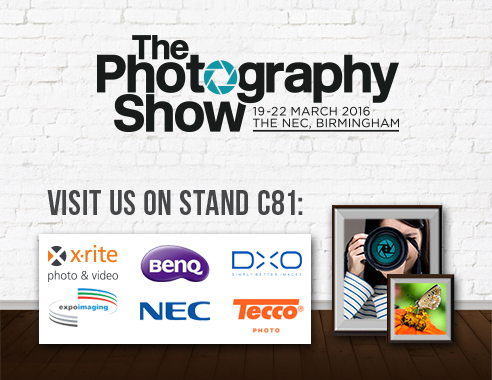 We will be exhibiting on Stand C81 at the Photography Show in Birmingham, from 19th to 22nd March 2016, to showcase some of the industry’s leading photographic manufacturers, including BenQ, DxO, ExpoImaging, NEC, Tecco PHOTO and X-Rite. 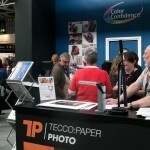 People interested in attending The Photography Show can use Color Confidence discount code COLTPS16 to save 20% off the price of an adult ticket. This entry was posted in BenQ, Color Confidence, Color Confidence Range, Competition, DxO, ExpoImaging, Lighting, Monitors, Photography, Software, Tecco, X-Rite and tagged BenQ, Color Confidence, Competition, DxO Image Science, NEC, Photography, Tecco Paper, X-Rite on February 29, 2016 by Color Confidence. DxO has announced the immediate availability of DxO OpticsPro v10.5.2, DxO FilmPack v5.5.2, and DxO ViewPoint v2.5.10 for Mac and Windows. These three upgrades mean that DxO now supports seven additional cameras: the iPhone 6s and 6s Plus, the Pentax 645D, and the Panasonic Lumix GF-7, Lumix G-7, Lumix GX-8, and DMC-ZS50/DMC-TZ70. The three DxO solutions add 787 more modules to the DxO Optics Modules library, which now contains nearly 28,000 combinations. Developed in DxO’s laboratories, DxO Optics Modules contain all of the information about the characteristics of each camera and lens. This unique database allows DxO software to automatically correct optical defects with an unparalleled level of quality. 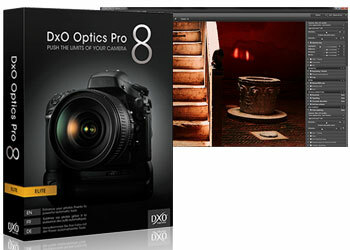 Photographers who acquired a DxO OpticsPro 9 license on or after September 1, 2014, are entitled to a free upgrade to version 10. Photographers who bought a DxO FilmPack 4 license on or after September 1, 2014, are entitled to a free upgrade to version 5. 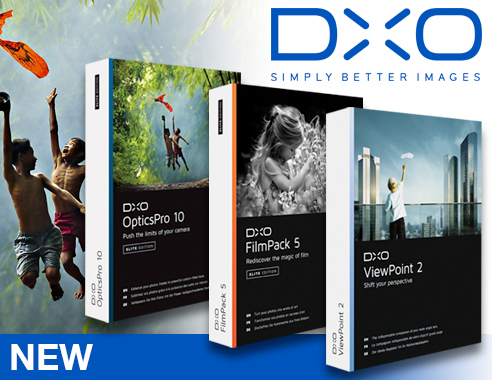 Upgrades are free for all photographers who acquired a DxO ViewPoint license on or after August 1, 2013. 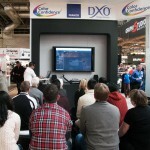 Save 50% on all DxO software! Don’t miss our spectacular DxO sale; get 50% off all image editing and correction software (excluding upgrades). This great value offer is available until 31st December 2015! This entry was posted in General News, Photography, Software and tagged Color Confidence, DxO, DxO Image Science, Image Editing, Photography on November 23, 2015 by Color Confidence. DxO has announced the immediate availability of OpticsPro v10.3, FilmPack v5.1.1 and ViewPoint v2.5.3; the latest updates to its image-processing software. These updates provide support for new cameras such as the Nikon D5500, Canon PowerShot SX60 HS, and Olympus PEN E-PL7, as well as new correction tools and an improved user experience. With this update, the Nikon D5500, Canon PowerShot SX60 HS, and Olympus PEN E-PL7 benefit from DxO OpticsPro 10’s numerous tailor-made corrections. The DxO Optics Modules library benefits from the addition of 422 new camera / lens combinations, providing support for such lens manufacturers as Canon, Nikon, and Sony. It also provides support for other third-party brand lenses such as Tamron, Tokina, and Sigma for Canon, Nikon, Olympus, Panasonic, Pentax, Samsung, and Sony cameras. Thanks to its five labs located throughout Europe, DxO has the measuring capacity to ensure an even more sustained rhythm for producing DxO Optics Modules. More than 23,000 camera / lens combinations are currently available. DxO OpticsPro v10.3’s tools have been optimized both to simplify photographers’ workflow and to boost productivity. A new search engine has been added to the Source Browser to help users easily find and load any folder available on the operating system, by simply typing its name. The OS X version also offers a new drag-and-drop feature that allows photographers to directly open a folder by dragging it into the Image Browser, providing quicker access to images. The correction tools have been revisited, now adding greater finesse and ease to DxO OpticsPro. The Horizon slider now makes small rotations easier to perform, and the Dust tool is also easier to use. 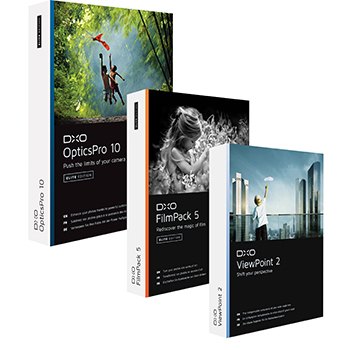 DxO OpticsPro v10.3, DxO FilmPack v5.1.1 and DxO ViewPoint v2.5.3, updates are available with the latest DxO products, which can be purchased from the Color Confidence website. To celebrate the launch of the latest DxO software updates, we are offering you 25% off all DxO individual products, and 15% off both the Essential and Elite Suites. This exclusive offer is available until Thursday 30 April 2015. This entry was posted in Color Confidence, General News, Industry News, Photography and tagged Color Confidence, DxO, DxO Image Science, Image Editing, Photography on March 12, 2015 by Color Confidence. As part of my support for local charities, I print and sell images. So I was pleased to win the confidence of a local business to produce a print for their new client room. Earlier in the year I had captured a few images of a very misty estuary and sailboat, the lighting conditions were unusual because the mist was producing a red cast similar to sunset but whiter highlights on the water. The client chose this image for the calm serenity that it portrayed. The sample print had been A4 size and the client wanted an A3, my main concern was getting both the colour temperature accurate to the conditions and keeping what little detail there was in the image, especially at A3 size. Fortunately help was at hand in the form of DxO Optics Pro v10. I had recently seen a demonstration of the software at the Wilkinson’s Digital Splash exhibition. I was convinced that the software was going to have an impact on my digital workflow. Optics Pro software looks at the camera body and lens combination you have used to capture an image (works best in RAW) using the EXIF data. It then makes a series of complicated mathematical calculations to adjust the image for any optical & physical corrections required to bring image closer to your intended capture (it won’t correct human errors such as poor focus etc). The software is straightforward to use with a very intuitive interface, after interrogating your EXIF file the software goes online to get the camera and lens profile combination used from a large database of files (painstakingly created by testing the majority of lens & camera combinations – check if yours are supported). After a very short time, I had a result which I was quite pleased with, the options of output are quite wide with file formats such as JPEG, TIFF, DNG supported. There is even a plug-in to write directly into Lightroom. If you want to start customising how your image file is processed, then there is a section to achieve this which has all the attributes that can be tweaked in logical groups: Essential Tools, Light, Colour, Detail and Geometry. Again all of these areas are quite intuitive but if you do require assistance, the help files are excellent – there are online links, tutorials and much more. There are options to copy the correction settings you have achieved and also to make your own presets. I like the option to append output files with DxO – as this helps me understand how I have processed an image. Preparing the image for printing was the next task which was assisted by the use of the X-Rite ColorMunki hardware and software solution. For any important project like this, I take the precaution of re-calibrating my monitor/screen and then performing a paper/colour profile (ensuring that ink tanks are all sufficient, as any replacement will change the colour output). It’s very important for me to get the best print without any problems or errors to keep the printing cost as low as possible, this ensures that I can maximise the donation to the chosen charity for which the project is helping. Most of my images are landscape, wildlife or RNLI action – so I don’t usually have the opportunity to use a X-Rite ColourChecker Passport at the start of any photography but it will be something that I will definitely look at if I start doing people or groups because of the help it can offer in achieving the desired finished print. My goal is to grow my photography ability and support for charities, spending more time capturing images with a smoother digital workflow to output helps give me the confidence to push my ability and camera to the limit. 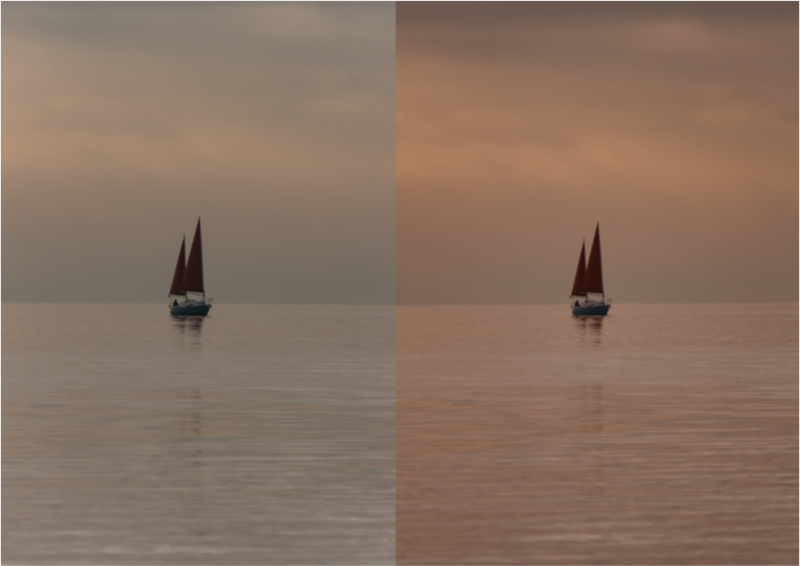 Right is the image after import and standard DxO preset application. There is an improvement in details, especially in the shadows and the colour profile is much warmer – as it was when originally captured. I now understand the message that DxO quote on the introduction splash screen “Push the limits of your Camera” as it is difficult to actually start finding the limits, if you can’t accurately see what you are capturing. Chris has worked for a number of charities such as Trinity and RNLI. He donates his time and images to local and regional fundraising groups and often sells images, with the proceeds going to supporting charities. This entry was posted in Color Confidence, Guest blog, Photography, Software and tagged ColorMunki Display, DxO, DxO Image Science, Image Editing, Photography, X-Rite on February 18, 2015 by Color Confidence. As we tweeted a few days ago, Optics Pro 8 from DxO Labs has picked up the TIPA 2013 prize for “best photo software”. 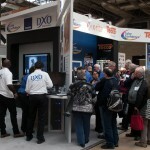 We’ve had DxO as part of our product range for a few months now as we strive to fill the hole left by Nik Software. 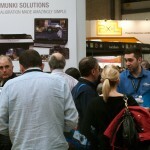 You may well have seen us demoing it at this year’s Focus on Imaging. DxO – particularly Optics Pro 8 – works in harmony with your camera and lens combinations. The software will automatically recognise your camera and lens to provide image corrections based on your kit. Downloadable corrections can also be sourced. Think of Optics Pro 8 as precision image correction meets creative effects. The idea is to spend more time perusing your passion (taking photographs) and less time in front of your screen editing images. 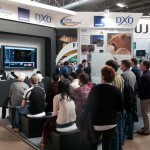 The DxO website gives a fantastic overview of the product, with lots of interactive demo images and examples. You can also pick your copy up from us here. This entry was posted in Color Confidence, Color Confidence Range, Software and tagged DxO, DxO Image Science, DxO Labs, DxO Optics Pro, TIPA, TIPA 2013 on May 23, 2013 by colorconfidence. No more boxed Nik Software – what do we get now? With Nik Software going to download only, what are your choices if you still want boxed photo editing solutions? (p.s. desktop Snapseed is also going too). See: Perfect Photo Suite 7 – probably the closest comparison to ‘Complete Collection’ with some arguably more intuitive and useful features. Perfect Photo Suite 7 includes the entire onOne range from black & white and filter effects to image resizing and layers. With a seamless integration into Photoshop, Lightroom and Aperture, or as a standalone product in its own right, onOne is a very good accompaniment to any image editing photographer. Good for RAW and JPG images too. Software that works in harmony with your camera and lens combination(s) to provide automatic image corrections. Optics Pro is an excellent combination of precision image correction (RAW and JPG) and creative effects. Sophistication meets creativity with very satisfying results. The most natural ‘replacement’ for Nik HDR Efex Pro, Projects Platinum offers the latest in High Dynamic Range (HDR) processing. You can apply effects to a single image, or upload your RAW camera bracketing directly for tailored effects and editing. Preset effects give you a good base which can be customised and saved to suit your needs. This entry was posted in Color Confidence, Photography, Software and tagged Color Confidence, DxO, DxO Image Science, DxO Optics Pro, Franzis HDR, Franzis Projects Platin, Image Editing, Nik Software, onOne Software, Perfect Photo Suite 7, Photography on March 22, 2013 by colorconfidence. So there we go, another Focus On Imaging done and dusted. It was a very good show for us this year. 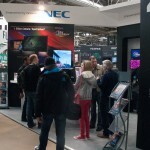 Our NEC Monitor area was very popular and our presentation area was also full throughout. 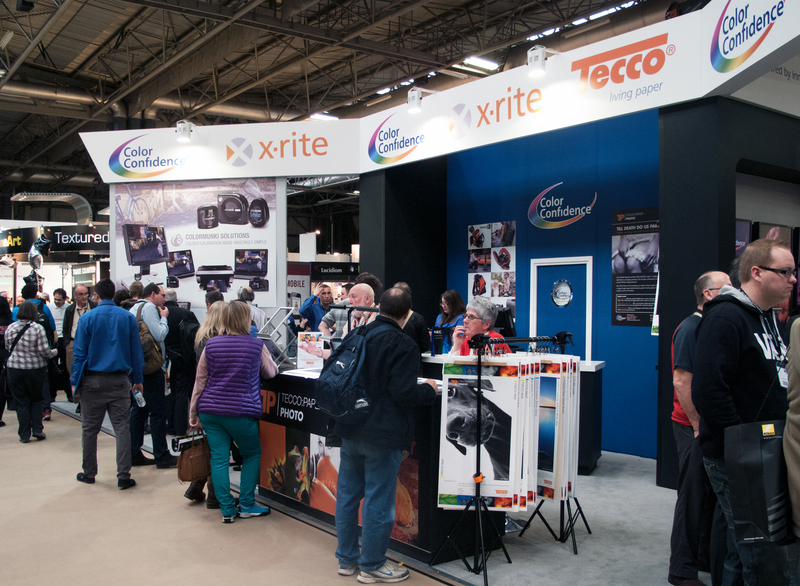 With great support from our colleagues at DxO, Franzis, X-Rite, Tecco and NEC, we hope all those who visited our stand came away with more insight into the sometimes daunting world of colour management. One thing is for sure – lots of people will be going away and calibrating their screens which is great to hear. You’re all on your way to accurate colour! 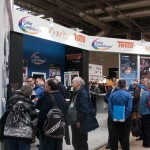 We hope you’ll agree our stand was a big improvement on last years design too. We were extremely pleased with it. 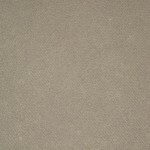 And the carpet, for those that are interested. 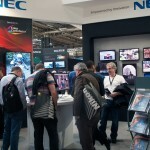 This entry was posted in Color Confidence, Photography and tagged Color Confidence, Colour Management, DxO, DxO Image Science, Focus on Imaging, Franzis, Franzis HDR, Franzis Projects Platin, NEC, NEC monitors, Photography, Tecco, Tecco Paper, X-Rite on March 13, 2013 by colorconfidence.